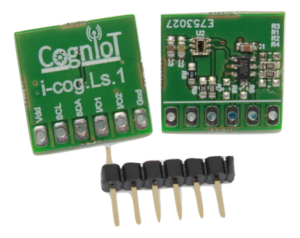 The iCog™ sensors are easily interchangeable with each other. 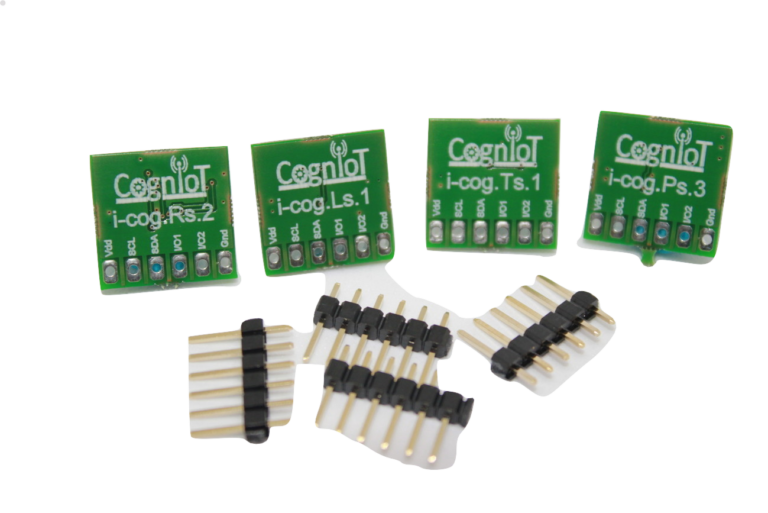 Every iCog™ sensor uses the same 6-pin 0.1″ connector. NOTE: iCog sensors are shipped with the connector not assembled. The 6-pin, through hole connector is easily soldered in place. 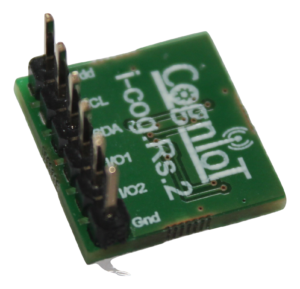 All iCogs™ use an ID-IoT chip that contains a unique number. Every sensor can be identified using this number. 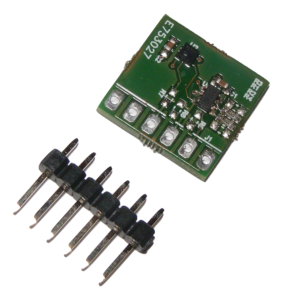 The iCogs™ have their own EEPROM that identifies the type of sensor to the software on the Pi. Additional EEPROM is provided for the user application. Output data rate from 1Hz to 12.5Hz. Interrupt on pre-programmed inertial events. Low-pass and high-pass filters modes.